During my early 35mm film shooting days, I shot a lot to learn about the impacts of changing camera/lens settings. Rather than having to pay a local lab to process my film, I had the chemicals and a dark closet to do the work myself. Printing the negatives onto paper required equipment beyond my budget and available room in the closet. A local school and a couple kind lab owners let me use their equipment for passing light through those negatives onto special paper in a controlled environment where I mixed and adjusted my chemicals and timing of processes. That is to say, there is a lot of room for being creative when making paper prints of my film photography. Of course, now we use a lot of filters and digital tuning before sending to a printer that applies ink a dot at a time onto paper. 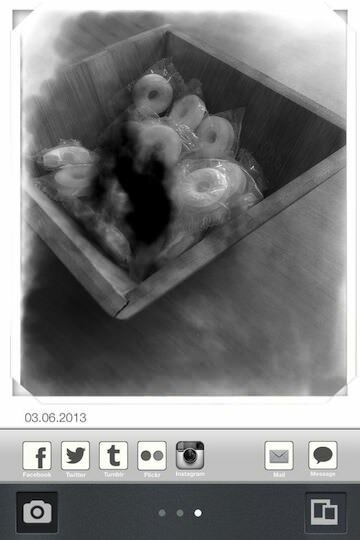 If you want a bit of creative fun without the smell or chance of burning your cloths, give the iPhone app Koloid a try. No, the app isn’t something you will start taking all your pictures with. With it’s feature limitations, the app is all about having fun being a bit unpredictable. Koloid starts with a view finder to snap the photo… options around the screen include Settings, turning the Flash on/off, Shutter and the built in Gallery. Be aware that you don’t have a big budget with the app so you couldn’t afford color paper, the resulting image will be Black and White. 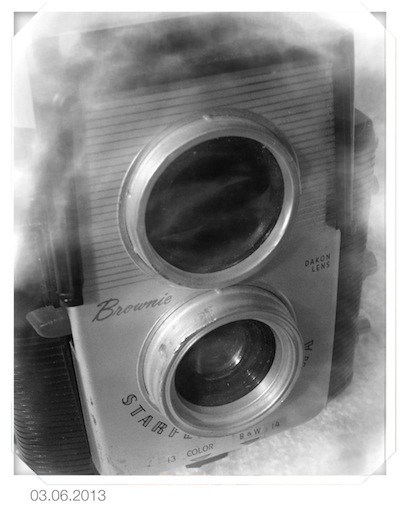 After you snap the shot, the first step is to adjust the collodion. The higher number will process the photo quicker but is less precise. Like, running strong chemicals and moving fast vs weaker and taking extra time to get a more detailed result. Shaking the iPhone introduces a blob of photo developers chemical. Since the iPhone doesn’t have smell-a-vision, you will need to imagine a bit of thick heavy smell to match up with the yellow area on the screen. Tipping the iPhone will cause the Koloid processing chemical to move around the white area, exposing the black and white photo. 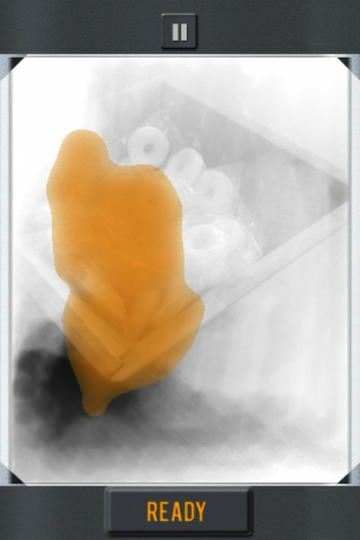 If the chemical sits on an area of the photo too long, it will go fully black. There is no way to ‘undo’ a chemical burn on the image so use the movements smoothly to adjust the photo ‘print’ dark and light areas. Popular photo social share services are supported. 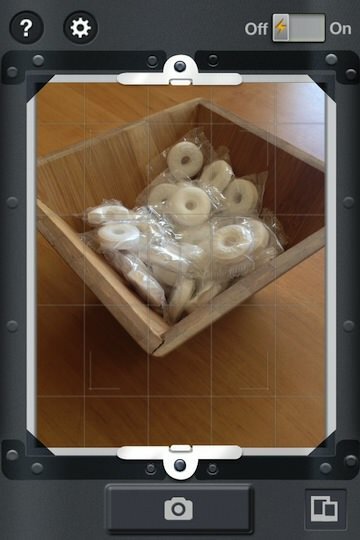 Photos are saved to Koloid’s own gallery and optionally auto save to your iPhone photo library. 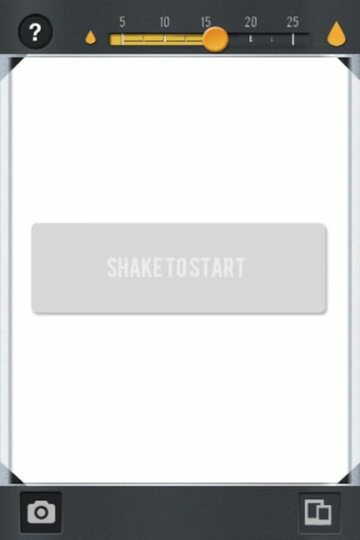 If you want to share directly from the app, choose one of the options, add some text and send. When your done, the lower left camera button returns you to the view finder screen. 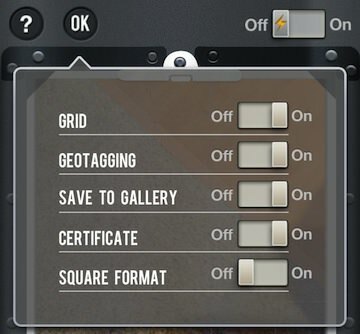 There is a settings area to decide if your shooting square photos, need a grid overlay, geotagging and more. As you will see in the final photo in the post, I have not been able to not have the date on the finished photos. Of course, your milage will vary. Below is a quick image I snapped and ‘treated’ with Koloid where I didn’t overdo any areas. Since you can’t import photos or ‘undo’, the process is very much to being down to your last piece of photo paper in the lab… the pressure is on.